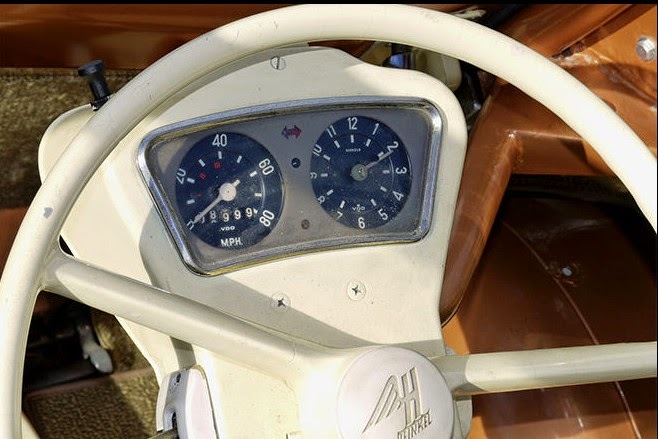 One of my blog readers asked a question about what was a “correct” dashboard for a Heinkel. The answer is that no one really seems to know. I do have a bunch of photos that I’ve collected over time, so I thought it would be worthwhile to try to piece some things together. The one exception was the Argentine Heinkel formerly at the Bruce Weiner Museum, which was painted black (see below). I don't know how the Argentinian dashboards were originally finished. This is pretty simple. There appear to be Miles per hour and Kilometers per hour. Both optimistically read unattainable top speeds (at least with the stock engines). I can’t imagine going 80 miles per hour in one of these cars. There were at least 5 options here; Clock, fake clock, clock placeholder (2 types) , no clock or placeholder. The clocks were an option. There was a winding mechanism accessible underneath the dash to wind the clock. Most of the clocks I’ve seen do not work, and I know that some people have attempted to fix them or brought them to professionals for repair with no luck. 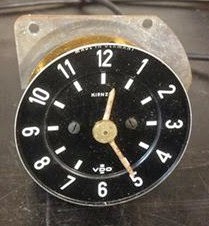 Heinkel Clocks are Quite Collectible, but Who Has Time to Wind Them? I’ve only seen these on Irish cars. It’s just another reminder that you are driving a Heinkel-I. 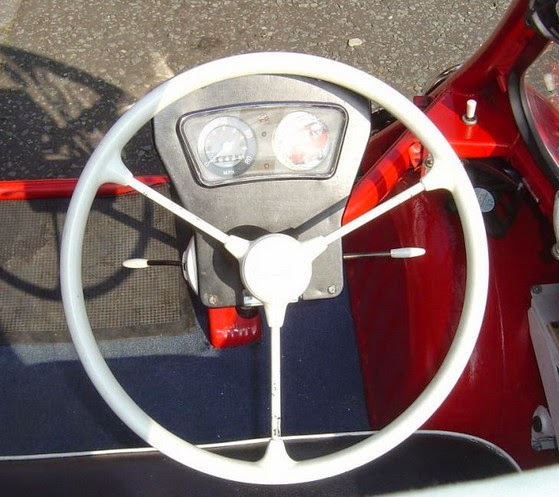 (as if you didn’t know from the steering wheel center) Check out the chrome ring on this dash. My friend John Ferguson pried the bezel off and had it rechromed. Very nice. This placeholder has shifting instructions (abbreviated in Spanish)? There’s no clock or place holder, just an empty spot begging to be filled with something useful. 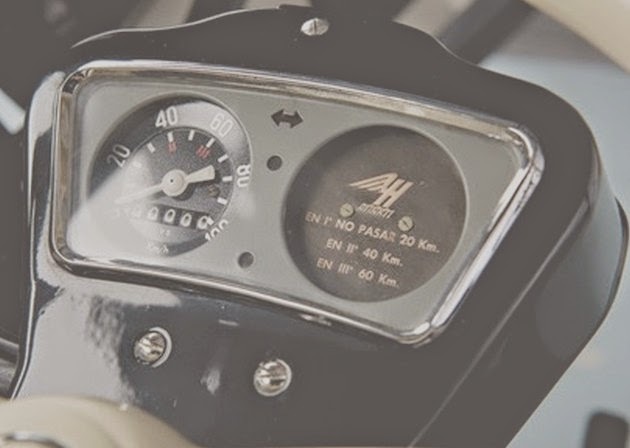 It appears to be a standard opening (60mm +/-) so I think it would be a perfect place to fit a tachometer. Everything I’ve mentioned so far concerns left hand drive Heinkels. How about Trojans and right hand drive cars? 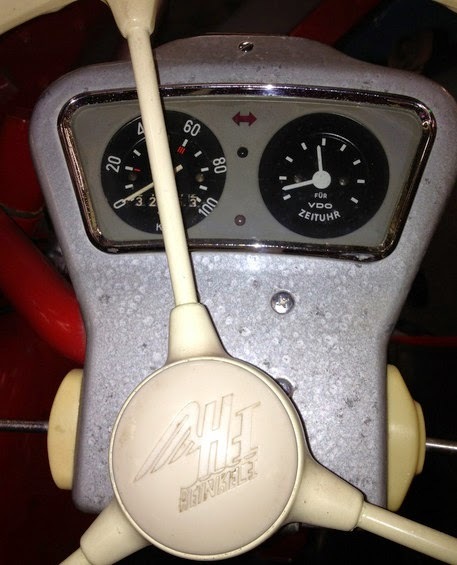 Right Hand drive cars had their aluminum dashboard housings turned upside down and an insert mounted to support the controls. 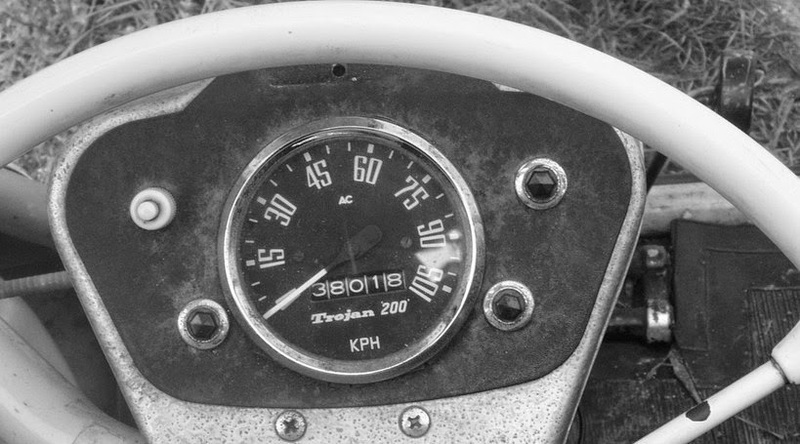 The dashboard on late Trojans was different too. Some Trojans had one insert: check it out. Can you draw any conclusions from these photos about what is "correct"? 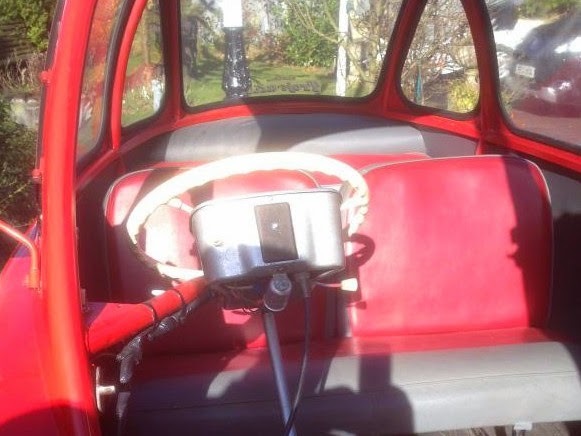 Shawn, This is Chuck here in Maine, just a quick note to tell you that I completely restored my 1957 dash and I have a perfectly working original clock. A little lube and cleaning and it started right up.